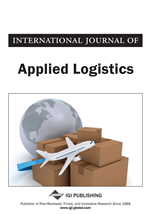 In this paper, a wireless sensor network is deployed to improve the security of goods, environment and persons along a supply chain manipulating chemicals in the European Union. Pallets are equipped with a RFID tag and a set of sensors that monitor in real-time the environment state. By defining and monitoring constraints that must satisfy pallet environments, a real-time risk assessment is proposed. Then, sensors send accident risks in case of unusual values to a centralized software. Supply chain actors responsible for goods are thus contacted and in parallel emergency services are contacted to plan and organize their interventions. Supply chain is a set of activities involving a group of commercial actors. Its goal is to create a product or a service to satisfy a customer demand. The actors are the ones who form the supply chain; they are suppliers, transporters, manufacturers, distributors, retailers and customers. Supply Chain puts in interaction a set of entities to provide to the final client the right product (or service) at the right time. Raw material suppliers, assemblers, distributors, retailers, and customers are the main interacting entities of supply chain (SC) systems. The work presented in this paper focuses on SC security where the involved actors collaborate in a global process to create reliable risk assessment strategies. A supply chain management (SCM) software is then developed to allow a real-time risk assessment when pallets are equipped with communicating objects such as wireless sensors and RFID tags. The studied SC involves chemical substances in the European Union (EU) that complies with the current CLP (Classification, Labelling and Packaging) regulation (CLP, 2008). This regulation is relative to information provided with chemicals manipulated in the EU. Substances are classified into three classes of dangers (physical danger, health danger and environmental danger) according to their physicochemical properties. They are packaged with information such as: name of the chemicals supplier, quantity of chemicals, hazard pictograms, handling advises and danger class. The CLP regulation helps then the identification of chemicals as well as the potential associated risks. This paper proposes to describe the SCM software architecture and in particular the risk assessment strategy which exploits wireless sensors and RFID tags. By taking into account chemical physicochemical properties, it is possible to deduce constraints that must be respected during transport and storage. It remains then to monitor in real-time these constraints to ensure they are satisfied. In case of unusual values, sensors contact the software by alert messages and this last relays them and send strategic information such as goods geolocation or goods physicochemical properties to emergency services that can intervene for the security of goods, persons and environment. This paper is organised as follows. Existing projects that propose communicating objects to secure SC are presented to describe how technical features offered by these objects can be exploited. The studied SC is presented and notably the emergent risks from transport and storage activities. Specific constraints are defined to monitor pallet environments from which alerts are sent by sensors to a centralized SCM software that transmits them to public and private actors. Results are presented: the proposed dynamic risk assessment and the consecutive alert dissemination strategy, they are discussed further.